Start decluttering! The annual WHNA Community Yard Sale will be held on Saturday, May 4, 2019, from 8-12, RAIN or SHINE. Anyone who is a member of the Westover Hills Neighborhood Association is welcome to participate. Advertising will be provided by the WHNA. 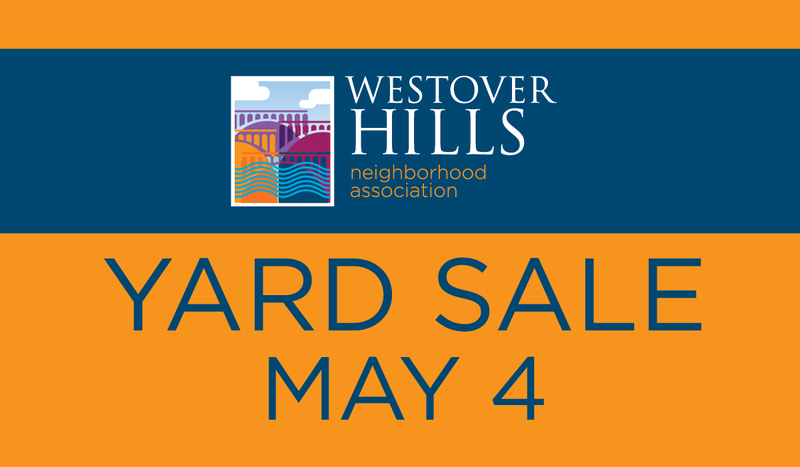 In conjunction with the WHNA Yard Sale, the Westover Hills Elementary School PTA will also be having their annual yard sale at the school in partnership with Goodwill’s “Communities for Kids” Program. After the neighborhood sales, any unsold items can be taken to WHES by 2:00 PM where a tractor trailer from Goodwill will be onsite to receive your donations. The total volume of items collected by the PTA will determine the weight of the truck. Based on that weight, a monetary donation will be given to the WHES PTA by Goodwill to benefit school programs. The heavier the truck, the more money for WHES and the more donations for Goodwill to be used to support their programs! It’s a WIN, WIN! If you are unable to bring your donations to the school after your sale, assistance can be provided. If you don’t want to personally participate in the yard sale or know someone who is decluttering and wants to donate gently used items (furniture, books, toys, clothes, etc.) to the WHES PTA sale, donations are being accept by Jody Lyle, President of the WHES PTA. Contact her at (804) 647-4940 or jody.b.lyle@gmail.com. For information or to participate in the WHNA Yard Sale, contact Louise Freedman, at (804) 477-4064 or LFreedman5111@gmail.com. We hope you will participate in some way to make this a HUGE community event to support our neighborhood and our school!